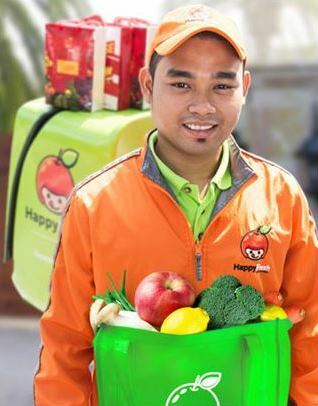 Fresh groceries at your doorstep in the next hour. HappyFresh lets you shop all your favourite products from great grocery stores around the city at the tap of a button. Simply add products to your cart, check out, and choose a delivery slot that suits your schedule. To your doorstep in as little as one hour. You read it right - one hour! Shop when you want, where you want, your groceries are just a few clicks away. Spend your time where it matters the most... not in a traffic jam! We select trusted and reliable stores so that you can shop for high quality groceries, no matter how busy you are. You get a professional shopper who shops on you behalf and is trained to pick the best produce for you. If you have any questions, you can count on us! Our support team is ready and are happy to assist. 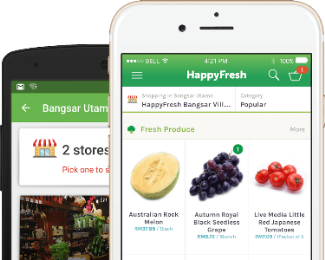 Choose groceries from stores in your neighbourhood on HappyFresh website or mobile app. 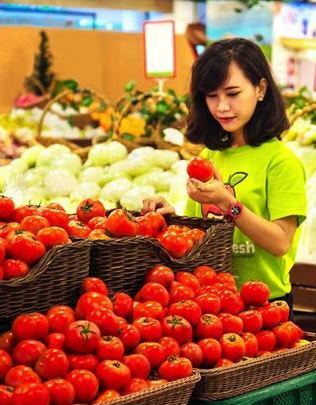 Your groceries get picked by a specially trained Personal Shopper. The groceries are brought to your door by a professional Grocery Courier. If for any reason you are not happy with any of the products upon delivery, you can return the items to the Grocery Courier and not to be charged for them. 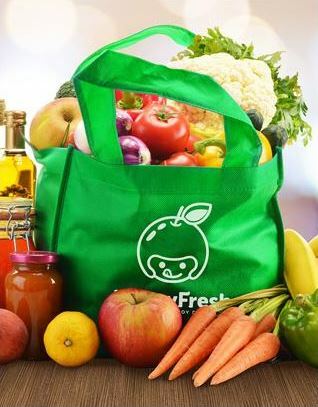 Enjoy only the best experience of shopping with HappyFresh! Shop for groceries on the go - get our app! © 2015 HappyFresh. All rights reserved.